Imagine not being able to hear the sound of your child laughing, your favorite song on the radio, or even the person on the other end of the phone. Your ears are responsible for sending sound and balance information to your brain, so it is important that you keep them clean and healthy. The health experts at Envolve, a healthcare solutions company, have compiled a few tips about the care and maintenance of your ears. Don’t poke around. Because ears are delicate, they can be easily damaged or injured if you use anything to dig around inside. This means avoiding using cotton swabs to clean your ears. Aside from damaging your ear, you could accidentally push earwax further inside your ear by using cotton swabs. But do clean your ears. 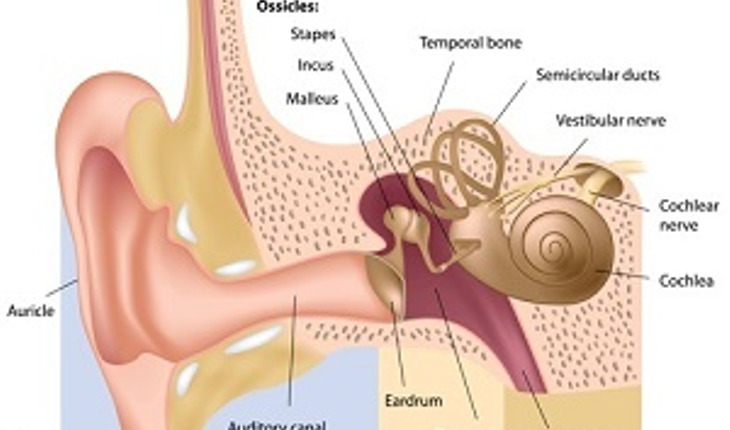 Did you know that ear canals are self-cleaning and earwax does not form or build up deep inside the ear canal? To make sure your ears are clean, simply wash the visible parts of the ear with soap and water. After cleaned, use a towel to dry them. To avoid irritating your ear canal, don’t submerge your ears in bath water. In some rare cases, a significant accumulation of earwax may require a professional cleaning by your healthcare professional; otherwise, a simple wash is enough to maintain the cleanliness of your ears. Turn down the volume. Many people use headphones to drown out surrounding sounds. When using headphones, it is important to keep the volume at a comfortable level, especially with ear-bud type headphones, to prevent noise-induced hearing loss. When you’re at places where noise is too loud like concerts, motor sporting events, or nightclubs, try to wear earplugs. If you do find yourself in a situation where you are exposed to loud noises for a long period of time, make sure to give your ears a break and chance to recover before engaging in additional loud activities. Get them checked. If you have difficulty hearing conversations, misunderstand what others say, or frequently ask others to repeat what they said, you may be experiencing gradual hearing loss. Have your Primary Care Professional (PCP) check your ears during your annual wellness exam. He or she will be able to determine if you need to see an Otolaryngologist or audiologist for further testing. Left untreated, hearing loss has been linked to other health problems including depression and dementia. If you experience ear pain, or notice a change in your hearing, contact your PCP as soon as possible. Don’t stress out. High levels of stress can bring on tinnitus, more commonly known as ringing in the ears. Aside from other health issues associated with stress, ringing in the ears also contributes to difficulty hearing, lack of concentration, trouble sleeping, and potentially hearing loss. If tinnitus becomes more frequent, try changing your routine, taking frequent breaks from strenuous activity, and avoiding excessively loud environments. Contact your PCP for if ringing in your ears becomes a frequent occurrence. Envolve, Inc.™ is a family of health solutions, working together to make healthcare simpler, more effective and more accessible for everyone. Envolve unifies medical management, care management and coordination, specialty pharmacy, PBM, vision, dental, behavioral health management, life and health/wellness management, empowerment and education services, telehealth services, 24/7 nurse advice services, and data, analytics and IT solutions. For more information, please visit www.envolvehealth.com.